Aston Merrygold, Harry Judd & co. will Rip Up The 60s in the West End! It’s the ultimate fab four of dance – and they’re bringing the 60s back. 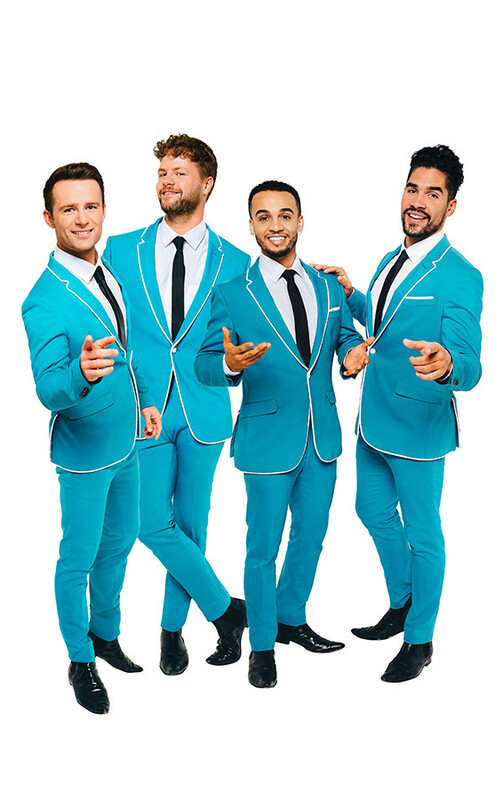 JLS’ Aston Merrygold, McFly and McBusted’s Harry Judd, Olympic athlete Louis Smith and The Wanted’s Jay McGuiness – all former successful contestants on Strictly Come Dancing – will form the ultimate dance boy band in Rip It Up – The 60s, transferring to the West End in February. Playing a 16-week London engagement at the Garrick Theatre from 7 February 2019, Rip It Up – The 60s celebrates the revolutionary cultural period through an explosion of song, dance, acrobatics, amazing visuals – and sheer celebrity talent. The show has played a highly successful UK-wide tour this year starring Judd, Merrygold and Smith, with McGuinness joining the group for the London run. Expect a psychedelic mix of music, style, culture and fashion – Aston and Jay singing, Harry on drums, and Louis performing the gymnastic feats that made him into an Olympic champion. At the heart of the show, however, is a celebration of the quartet’s dancing talent. And if their performances on Strictly are anything to go by – McGuinness won the show in 2013, Smith in 2012, Judd in 2011, and Merrygold reaching the latter stages of the 2017 competition – then audiences are in for a treat. The casting of Smith coincides with today’s announcement of his retirement from his gymnastics career, during which he won 4 medals at 3 separate Olympic Games. Providing a wonderful window into the musical magic of the 60s, Rip It Up – The 60s invites you to dance the night away to musical legends including The Beatles, The Rolling Stones, The Who, The Beach Boys, Dusty Springfield, Elvis Presley, Bob Dylan, Aretha Franklin and a whole host of Motown legends, including Marvin Gaye and Stevie Wonder. Book Rip It Up - The 60s tickets!